It is imperative for any advertiser to observe the policies to avoid having their AdWords suspended. Some accounts may be re-enabled while others may not, depending on the depth of violation. There are some policies that are so sensitive such that their violation can lead to immediate suspension of the account. For instance, misrepresentation and abuse of the Ad network or interface. 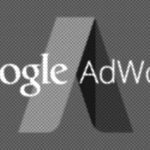 If your Google AdWord account has a balance, it can be suspended temporarily until the balance is paid. Therefore, once you pay up the balance you owe, your account will be re-enabled. Any advertiser that tries to use multiple promotional codes or tries to sell the code, the account will be suspended. This type of suspension is due to violation of the promotional code. In the event that you request your credit-card company or bank to reverse a payment to your legitimate Google AdWord account balance, the account will be suspended temporarily. This issue can be resolved if you pay the balance. If any unauthorized access to your account is detected, the account will be suspended immediately. This is done to protect the owner of the account from unplanned and unauthorized charges. Therefore, any user whose account is suspended for this reason is advertised to report the matter immediately so that the account can be secured and resume the running of Ads. In case any suspicious payment is detected, the account can either be suspended or the user becomes restricted or limited to the amount of money he/she can spend on the account. Most suspicious payments arise when someone may try to pay the AdWord account using a credit card that has been stolen. If a user or advertiser violates the terms and conditions of the account repeatedly, the account can be suspended or even banned for good. Google AdWords is a very important marketing and advertising tool that every businessman ought to use However, once you secure an account, it is imperative to make regular payments and follow the terms and conditions or policies to prevent your AdWord account from being suspended. More so, it is important to ensure that your contact information on the account is up-to-date so that you can be notified in case of any updates or any issues concerning your account. Google AdWords is an advertising platform developed by Google in which the Advertisers bid on particular keywords so that their clickable adverts can appear in the search results displayed by Google. Advertisers have to pay for the clicks thus earning Google a lot of revenue. However, there are terms and conditions or policies that govern this advertising system. Therefore, any user that violates these policies can have their accounts suspended.